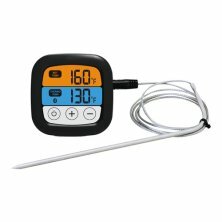 The grill thermometer is perfect for the grill season! Connect it via Bluetooth and it provides both alert temperature and cook temperature. 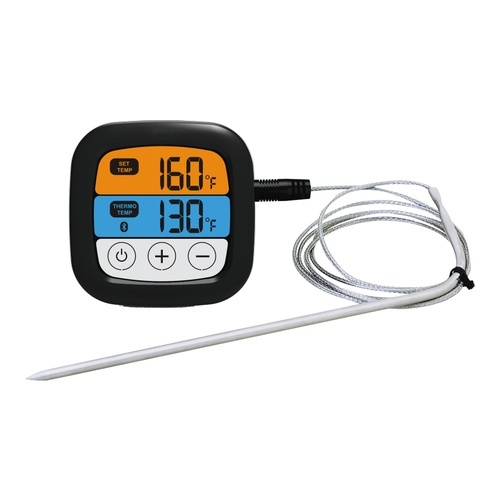 The grill thermometer can show the temperature in both °C/°F. It is easy to setup, just enter the set-up mode and confirm the settings, and you can easily increase or decrease the values. Press and hold for 3sec to power off.